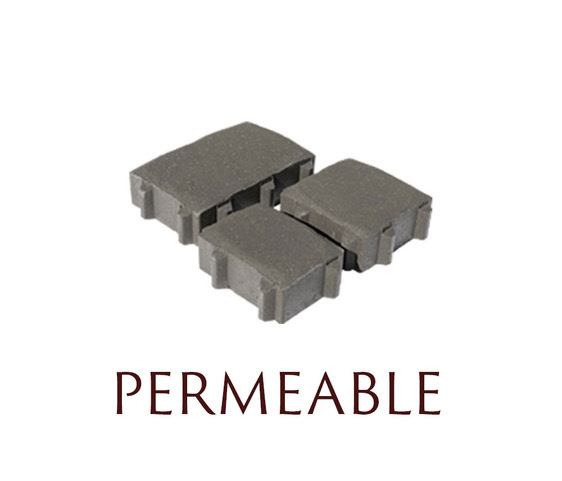 Pavers. 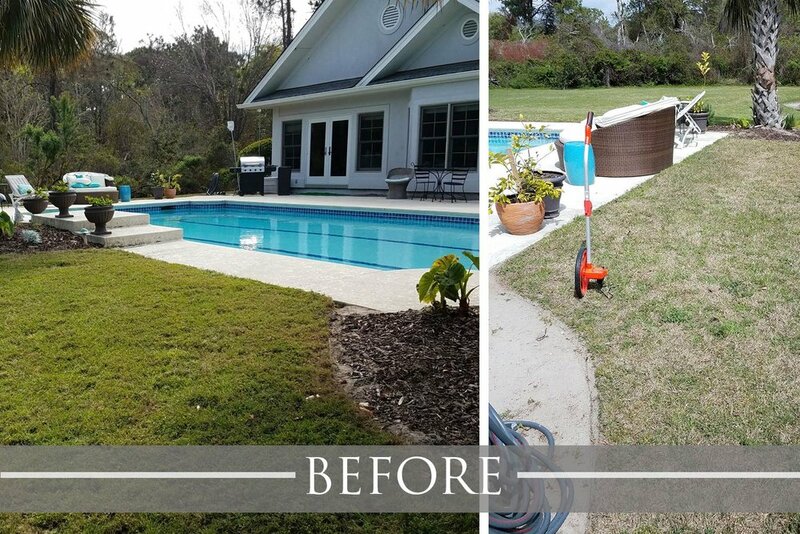 They may sound boring, but trust me, you're gonna FLIP when you see what they did for this backyard! 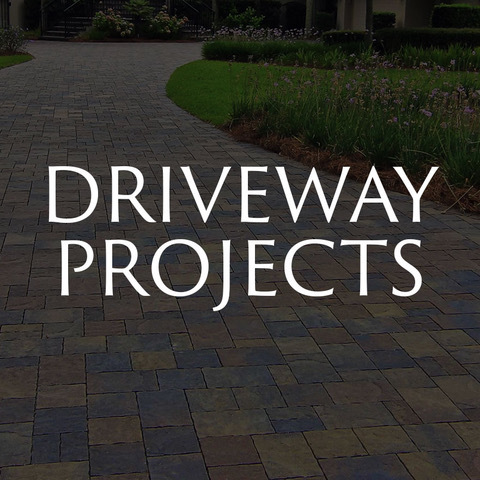 This particular paver project was unique in nature, even for us! (And we do a ton of unique projects!) Let's take a look at the before, shall we? I mean, there's a pool and a palm tree, so not bad, right? But... it's a little lackluster. Everything seems squished in around the edges. It's like all of the furniture wants to escape. And grass that close to the pool means grass IN the pool every time someone does yard work or a kid runs around. Nobody wants that. Alright, so if you aren't used to looking at these, it may be a little hard to tell what's going on here. 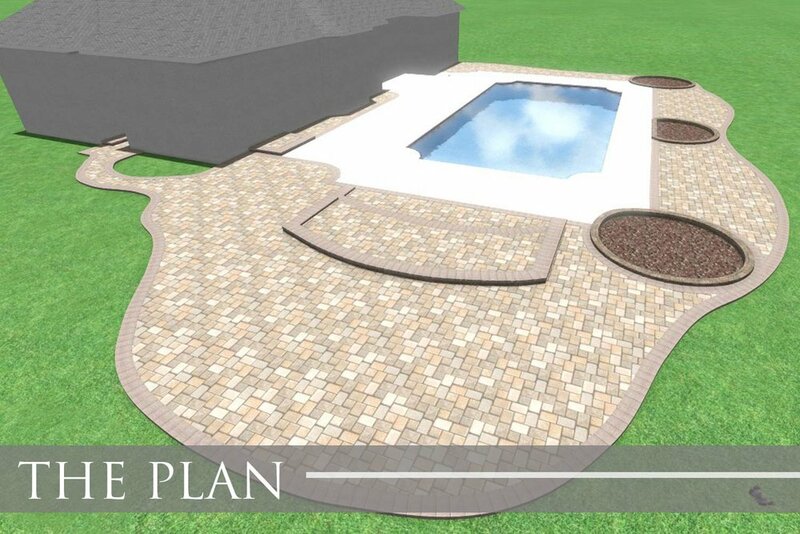 This client asked that we keep their original concrete surrounding the actual pool area and wanted us to design a hardscape area extending out beyond the pool deck border. Their goal was to enhance their entertainment space and create a larger pool deck itself, without taking out the existing concrete. 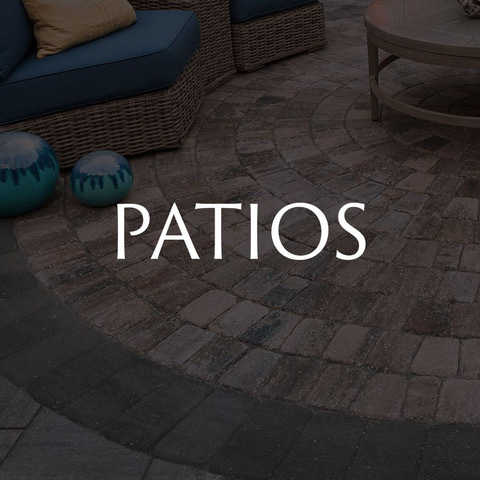 We designed and installed a large brick paver patio using Tremron’s Mega Olde Towne paver in Sierra. Want to see how that translated into a real life look? 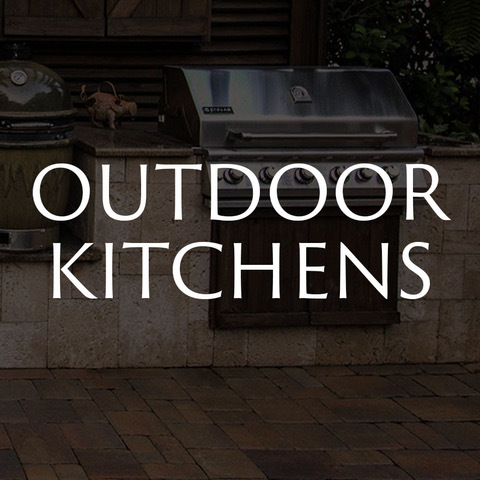 How's that for outdoor entertaining? They've got room to relax, serve meals, and spread out. We even left room for those gorgeous palm trees, which now flow seamlessly into the design. The new color looks fantastic with the landscaping, doesn't it? It'll only look better as everything begins to grow in and bloom. The original concrete area became a frame for that sparkling pool, and all the furniture and accessories aren't all squished onto a narrow band anymore. Room to grill... room to chill. Room to dine... room to recline. 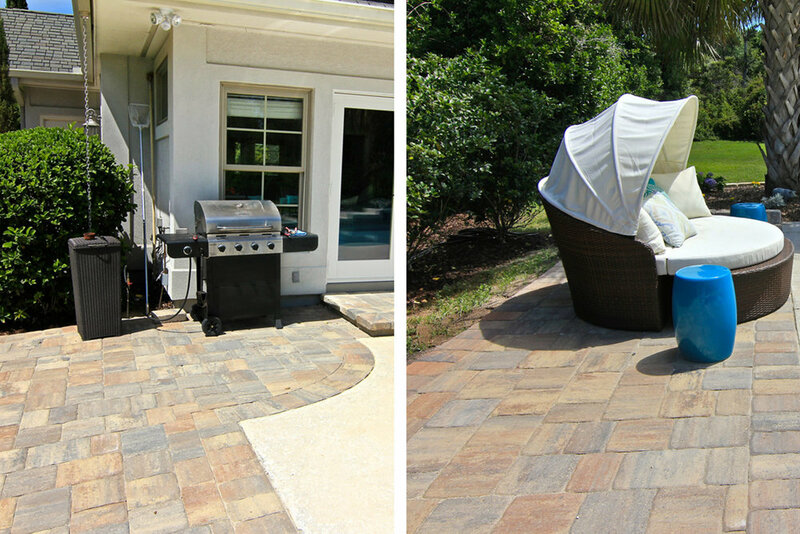 Many of our clients have large backyard spaces to fill and not everyone wants put paver materials throughout the entire area. 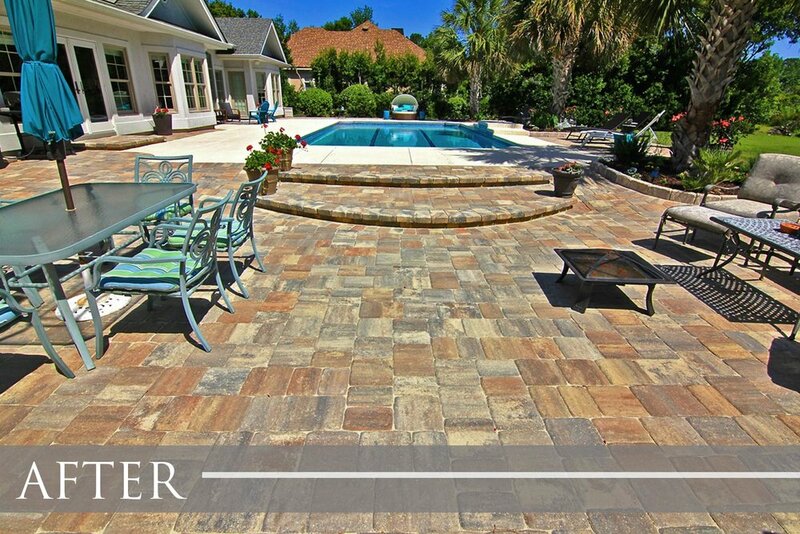 We frequently have homeowners that want different combinations of concrete, pavers and stones when renovating their backyard pool decks. This is perfectly okay, and as you can see from these photos, we can make it work out beautifully! 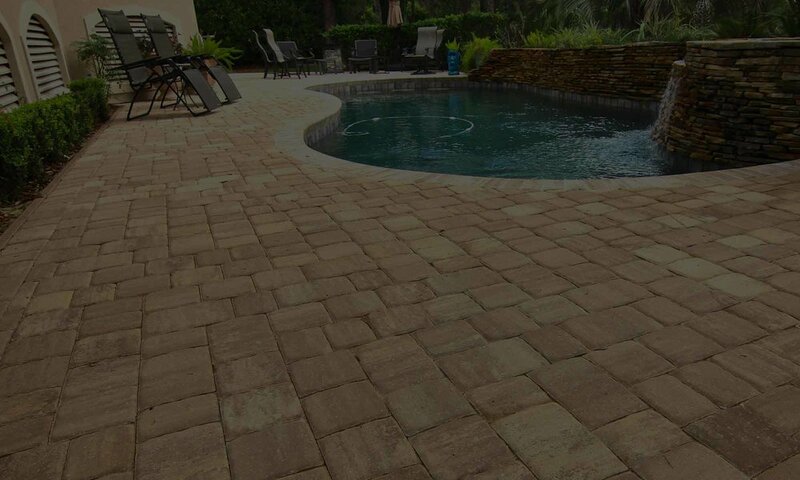 Pool Deck remodels can be large projects to undertake, but with the proper layout, grades and paver selections, we can enhance the area quickly. 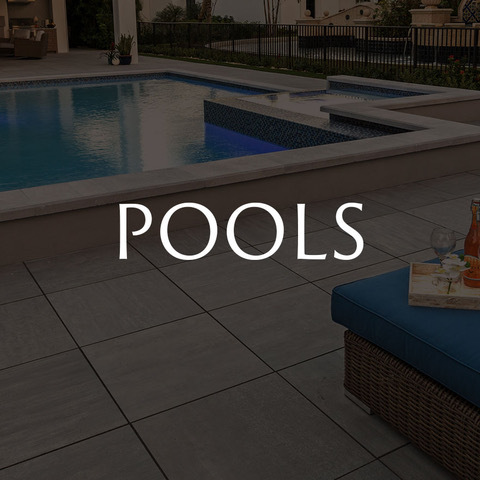 A majority of our pool deck remodel projects take only seven days to complete! Want to see more? 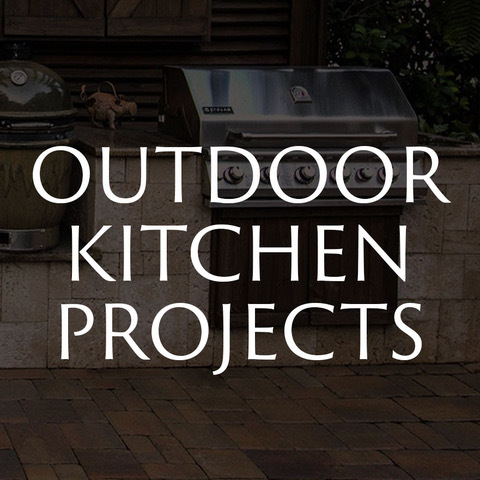 Click here for even more paver inspiration!